UPDATE: Quite literally 20 minutes after post this blog update, I received an acceptance. Apparently all I had to do was complain publicly. I hesitate to complain on my blog, mostly because I think a lot of writers end up in "woe-is-me" patterns that only invite more woe. Today though, I really need to whine a little and hopefully gain some perspective in the process. The year 2010 was a pretty great one for me, publishing wise. I received my first publication in April, and after that they poured in. I even had a week where six poems were accepted by four publications. The year kept bringing more joyful acceptances until the very end, which concluded with three acceptances on New Years Eve. The total for the year was 17 published poems in 13 journals; my acceptance rate was around 27% for the year. Go Laura. Because of that success, I decided to submit to harder markets in 2011. I also made a goal of 100 journal submissions by the end of the year (to date, I'm 11 behind). I have received four fantastic acceptances, for which I am truly grateful. I love that those poems are out in the world. I love the journals they are published in. But as it stands, I haven't gotten an acceptance since April and I think the standards that were set up in 2010 have ruined me for 2011. Last week I got four rejections. Form rejections at that. Blerg. Current acceptance rate for 2011: 7%. 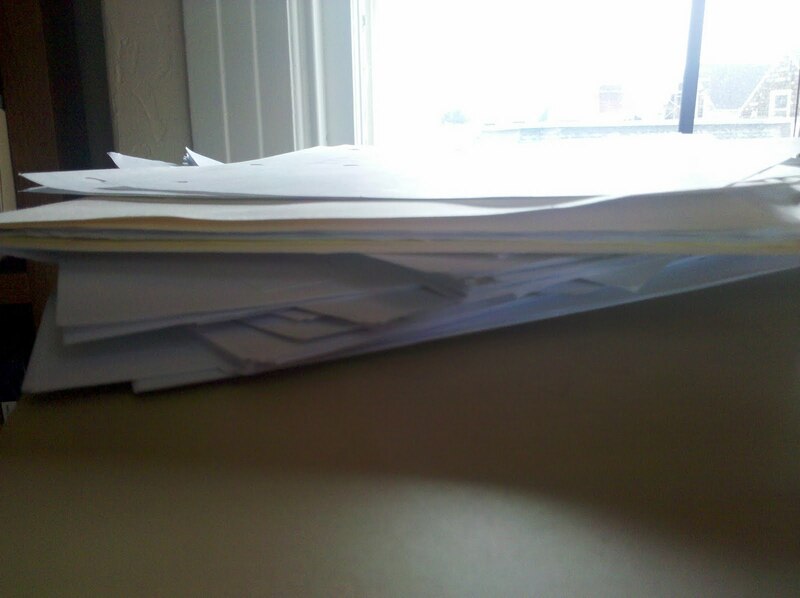 At least I have a pile of solid poems to edit. I sent my chapbook manuscript to four contests earlier this year. Three rejections later, I'm holding out on this last one and, when that is rejected, I will do some reorganizing and re-strategizing. I'd like to just get on with it. Do you hear me, Chapbook Contest I submitted to in February? (yes, I know it's not that long ago, but I'm impatient). I'm also going through the demoralizing process of job hunting. I spent all of July in a tail-spin from a cross-country move and constant bouts of panic and doubt about my professional qualifications. I barely sent out two job applications. Now I'm scrambling because the fall semester starts in the next two weeks and of course I'm hearing crickets. CRICKETS. Well, I did get into one adjunct pool. That's reassuring. A paycheck would more comforting though. Today I got notice that my AWP panel was not accepted. I know I'm in a bad place when I can't even go on Facebook because everyone is posting excited updates about their panel acceptances. I hate to admit it, but I sometimes compare myself to others in my field and then think "why not me?" Especially when I see writers younger than me having huge successes. Because the thing is, I don't begrudge them their success; I love it. I celebrate it. But when I go a long while without some kind of vote of confidence, it's easy to turn green green green with envy. And I can't help but wonder if I'm doing something wrong. Then I read this Dear Sugar column about jealousy and I humbly remember more than a few good things. I earned an MFA in 2011 (or I will in a couple of weeks, officially). I won the Best Thesis Award for poetry. That was really awesome. 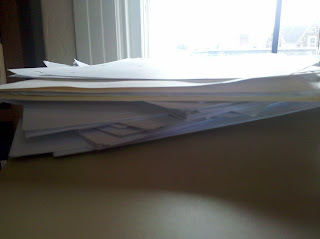 I have a pile of good poems that will hopefully turn into solid poems once I get to editing them. I got to participate in a pedagogy forum at AWP this year with some incredible educators and the latest issue of Weave has received an amazing response. Sales are up. We had our largest reading period to date. I am reading my poetry with some stellar writers in the East Bay at the end of August. But even more importantly, I have incredible friends and family. I'm healthy. my friends and family are happy and healthy. I am finally in the same city as Sal. My best friend is having another baby (this one still gets me). My other best friend returns from South Africa this week (Casandra, I have missed you more than I missed breakfast sausage when I was vegetarian). I am loved and I am lucky - so lucky - to have all the people in my life who give me love. My rate of love-and-acceptance for 2011: off the charts. Why is my avatar an exclamation point? Hm. I don't know? That's odd. Maybe it's something fault with Blogger profiles? I sometimes compare myself to others in my field and then think "why not me?" Especially when I see writers younger than me having huge successes. Because the thing is, I don't begrudge them their success; I love it. I celebrate it. But when I go a long while without some kind of vote of confidence, it's easy to turn green green green with envy. And I can't help but wonder if I'm doing something wrong. I totally, totally get it. I'm with you, sister. btw, I'm Team Buneke. Silly blogger. Hello TeamBuneke (aka Rachel). I'm glad I'm not the only one. I had to cut down on a lot of my literary connections on Facebook because I just kept getting more and more envious each time I logged on. Then again, some writers use social networking only to boost themselves, and not others. I'm a fan of those folks who see that it's a two-way street. I just migrated my comments from Blogger to Disqus, so that could be the reason for the comment blunder. Strangely, I got a rejection letter today from a harder market. It was form, except for the bottom below the signature which said "Thanks for the look at your poems. Thought your not taking one, we did enjoy reading them. Thanks, [Name of Poetry Editor]"
When I was in grad school I was very involved with the acceptance and admittance of new grad students. I am so glad I was a part of that, because we turned away some artists doing interesting work who wouldn't be right in the community, for whatever reason. When curating work in, the editors of a magazine have their perspective. I find it helps to trust that perspective which I don't have access to. It helps me let go of the sting of 'not making it in'. The last time my work was edited into a collection, the whole read was so great, the flow of the body of work was so good - I'll take the rejections necessary to get to places where the work is that at home in the whole. I try to remember, when it is out there in the world with an audience, it doesn't belong to me anymore. Its important to be on the right stage. Perhaps because of older discussions I've had about audience and who determines meaning in artwork as an artist, I'm more willing to choose the potential stage for the work to stand on (i.e. choose the journal to submit work to) and then let go and discover if the universe agrees that that is the right stage, that that is one way for the work to reach the right audience.